Miniature Schnauzers etc. : "Dude with Attitude". 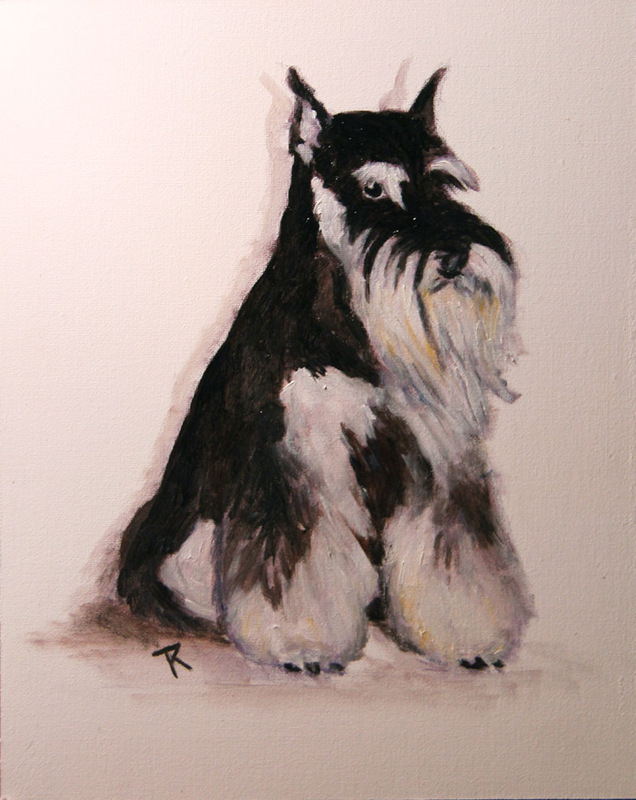 Schnauzer painting #2. "Dude with Attitude". Schnauzer painting #2. This is my #2 in new schnauzer-series paintings what I just finished this evening. Another Black/Silver boy with very distinguished face. I had fun painting this one, but I always do... when it about painting or about my animals... therefore it was double-fun!.. Sorry, this little guy is sold!